The Medal of Honor Monument was dedicated on November 7, 1976, to honor those Washington citizens who have received the nation's highest military decoration, the Congressional Medal of Honor. 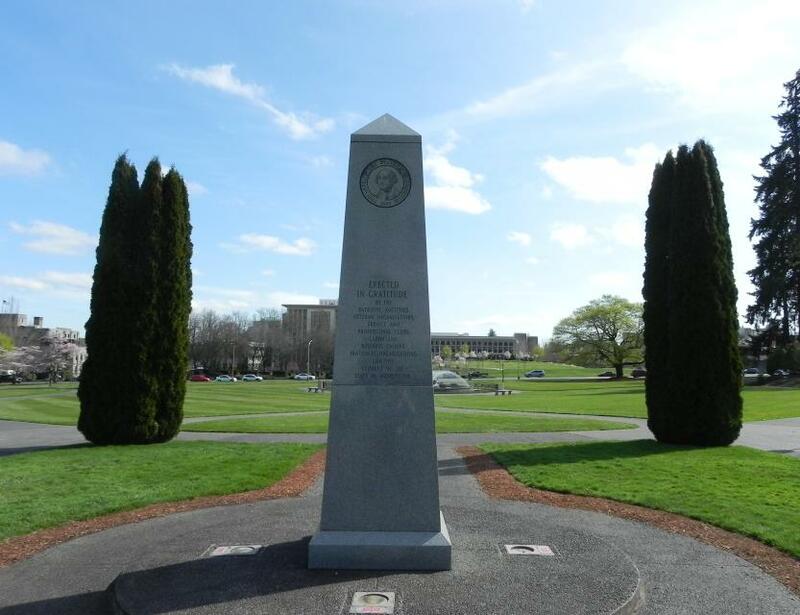 The 11½-foot tall granite obelisk is affixed with the Seal of the State of Washington and is inscribed with the names of those Washington citizens who were bestowed this supreme honor. The simple monument is located east of the Winged Victory memorial on the Capitol Campus. The monument is a full scale replica of the national Medal of Honor monument that is in the Medal of Honor Grove in Valley Forge, Pennsylvania. 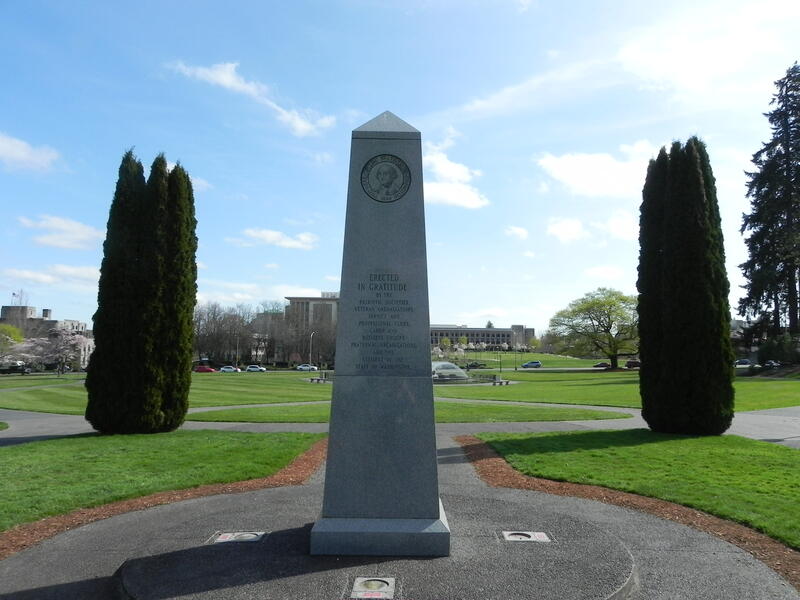 The national monument is erected on an acre of ground donated to the State of Washington by the Freedom Foundation, and joins other states and territories in honoring military heroes. That monument was dedicated in May 1976. In the 140 years of the medal's history, it has been awarded to over 3,400 men and one woman, most of them posthumously. The Medal of Honor Monument was funded by private contributions.